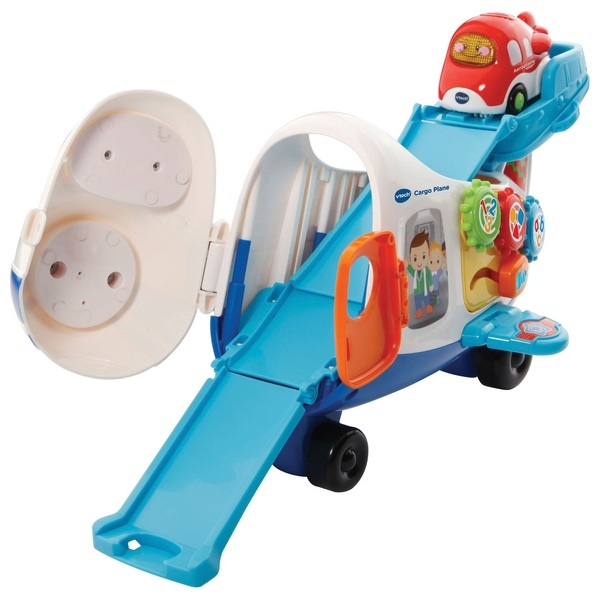 Little one’s will love this Vtech Toot-Toot Drivers Cargo Plane.This chunky interactive cargo plane includes a cute SmartPoint aeroplane passenger! Features manipulative passenger gears, sliding letter and chunky face button that makes a cute beep sound when pressed. Also includes fold down door and the plane’s front folds down to create a fun ‘flying’ ramp. Features 2 SmartPoint recognition sensors.